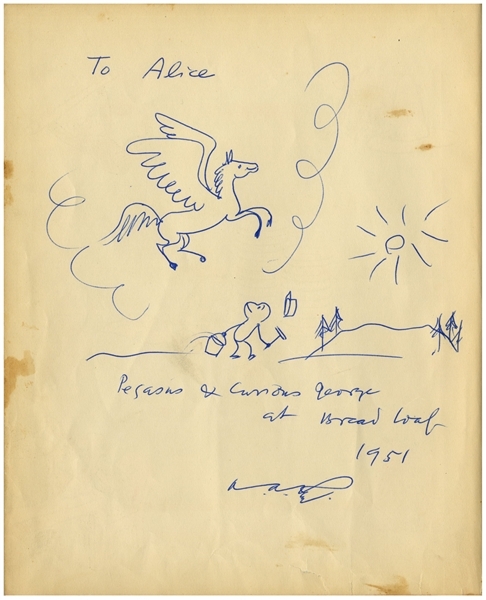 Full-page signed drawing by H.A. 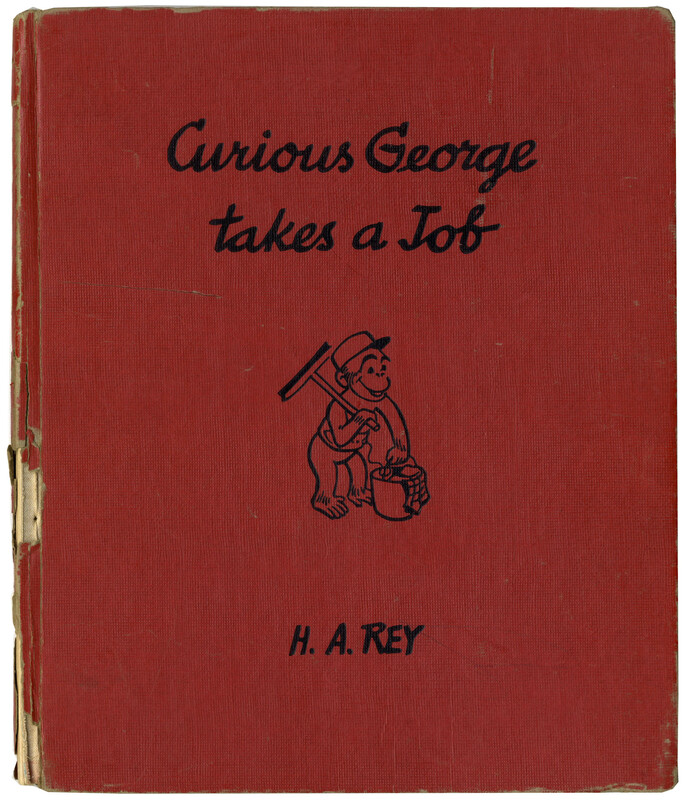 Rey of his most famous monkey, Curious George, drawn within ''Curious George Takes a Job''. Rey draws an image of the winged horse Pegasus, whom Curious George admires from the ground; the wind from Pegasus' wings even blows George's hat off his head. 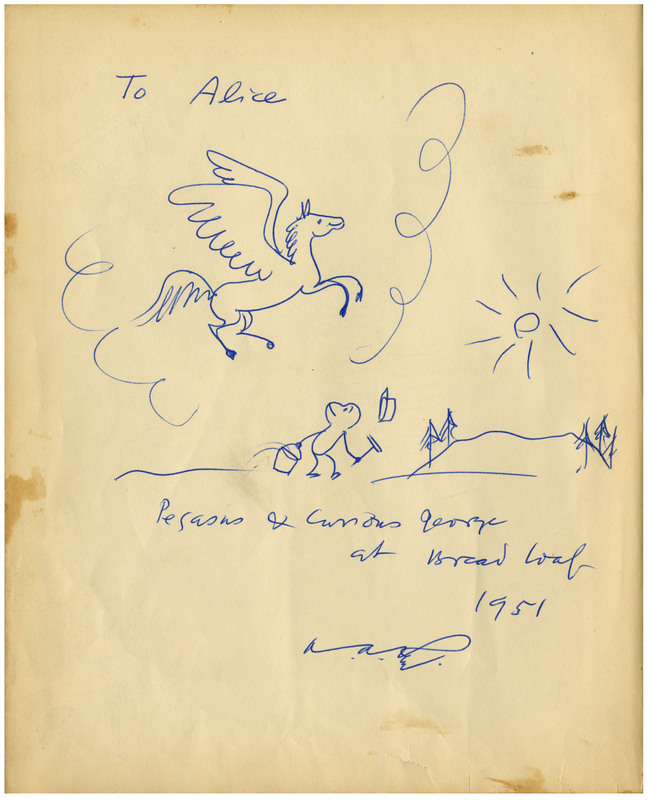 Rey inscribes the artwork, ''To Alice / Pegasus & Curious George at Bread Loaf / 1951 / H.A. Rey''. Bread Loaf possibly refers to the annual writer's conference near Middlebury, Vermont. 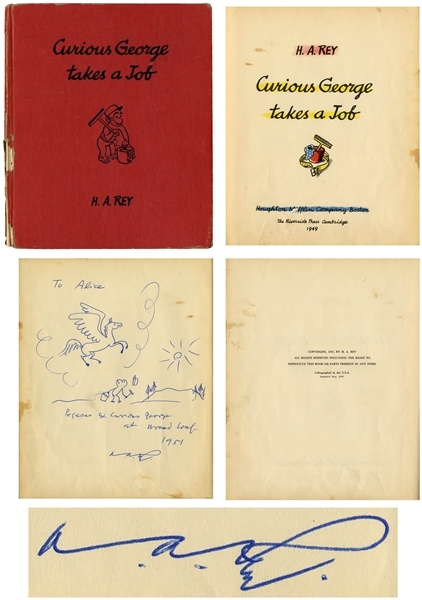 Full page measures 8'' x 10.25'', drawn on the flyleaf, which also constitutes the verso of the pictorial front endpaper. 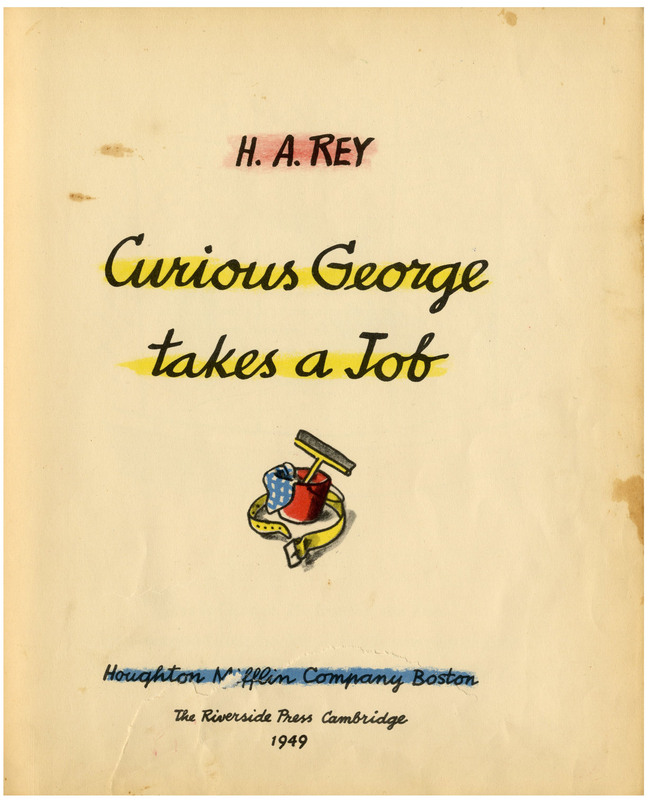 Book is a 1949 printing of ''Curious George Takes a Job'', first published in 1947. 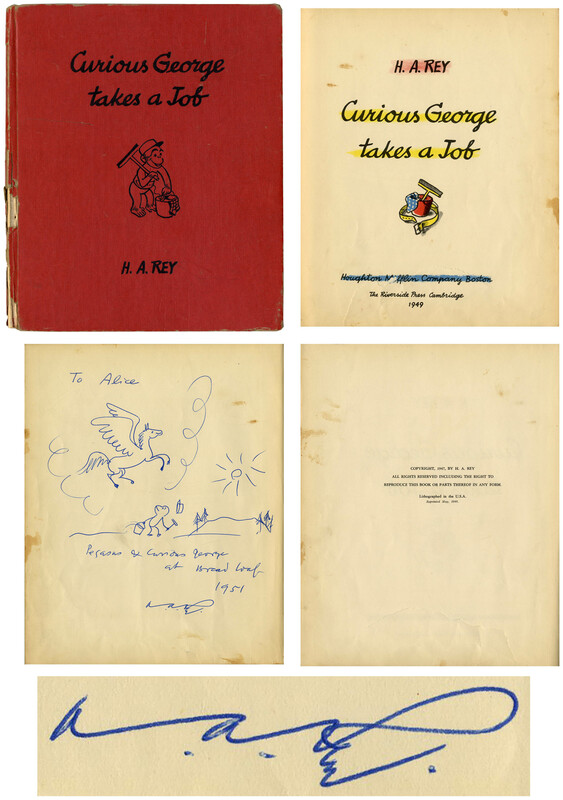 Book has a few interior tears and some loss to backstrip, overall good condition. 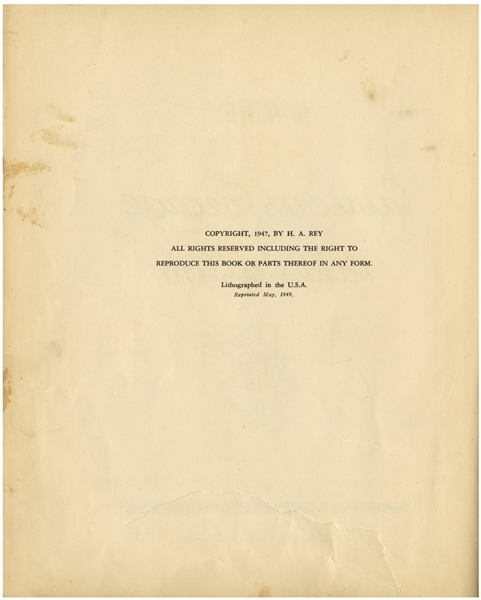 Artwork page has a few spots of discoloration, not affecting drawing, and two closed tears at bottom margin, otherwise near fine.